I hear vibrations of rhythmic drum beats blends with voices singing ancient songs of celebration, gratitude. Then vividly colored, expertly hand-carved ceremonial masks come into my view. It’s stirs something in the soul. The bold, beautiful masks incorporate traditional motifs, and reflect the artistic stylistic design of the native cultures of the Pacific Northwest. 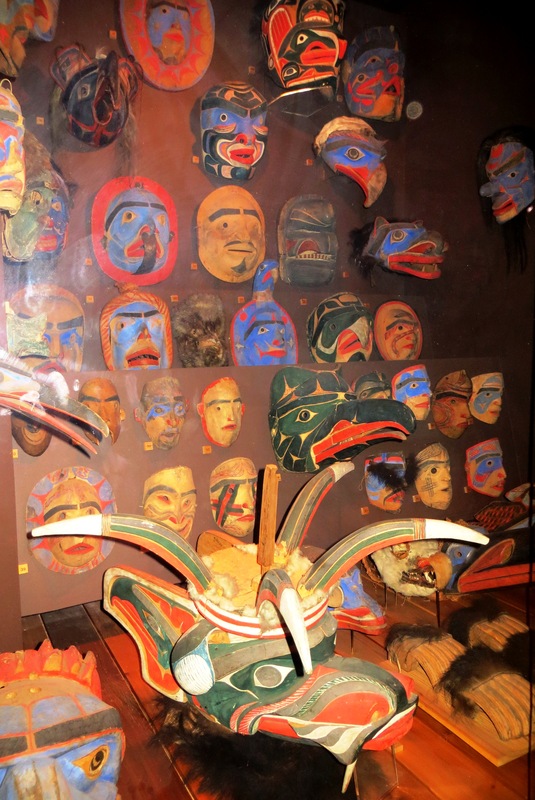 I viewed these masks at the Field Museum of Chicago; and also see other amazing cultural art and exhibits at the Makah Museum, Museum of Vancouver and the UBC Museum of Anthropology. And, I’ve seen the masks in action at a potlatch. The Alaska Native Heritage Center is on my bucket list. Visit Weekly Photo Challenge: Vivid and Travel theme – Handmade for more colorful and handmade photos.